Acura of Limerick is your friendly Acura car dealership near King of Prussia, PA, and the premier destination for the best selection of new Acura cars and SUVs. We also serve our customers with a service center and parts department. We aim to round out your car-buying experience by finding the best-suited purchase arrangement through our financing department. Our finance department at Acura of Limerick has only one goal, and that’s to get you behind the wheel of your dream vehicle. We do everything we possibly can to make this happen, and one of our best mechanisms is our trade-in program – it lets you apply the fair market value of your existing vehicle toward your new vehicle purchase. To make things even more convenient at our Acura dealership, we offer an online tool to help you value your trade and give you an idea of what to expect before you visit us. We also want to make sure that all our customers know that when you come to Acura of Limerick, you’ll be treated with a level of care, attention, and dedication that goes above and beyond the standard. We at Acura of Limerick understand that the auto loan process can seem overwhelming or intimidating if you’re unfamiliar with it. We want to help calm those concerns and show you how easy and seamless the process is. For example, let’s say you’ve decided on the 2018 Acura TLX and you’d like to finance your purchase. Our expert finance team will work with you to find the right loan terms and duration to fit your personal financial situation. The loan approval process is subject to a credit check, and it’s always best that you know your credit score before you visit. We’ll compile all the requisite information and lay out the available loan terms we offer. Our finance professionals will walk you through each scenario and help you choose the best fit. Hustle down to see us at Acura of Limerick and let us show you what a caring dealership can do for you. We’re conveniently located at 77 Autopark Blvd in Limerick, PA and we can’t wait to serve your needs. 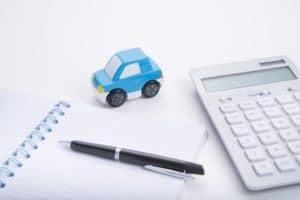 Whether you’re interested in one of our new or used Acura cars for sale, we’ll do our best to accommodate your needs with a suitable finance plan.